Those in the North and Northeast have recently been experiencing frigid wind chills. Wind chill is the temperature equivalent perceived by humans, caused by the effects of air temperature, relative humidity, and wind speed. Wind chill does not necessarily affect everyone the same way, but it is still essential to know this number to keep yourself and others safe. When the temperature is cold, and the wind is blowing strongly, exposed skin can quickly become frostbitten. This process can happen when your skin and tissue gets so cold that it dies. I don't think anyone wants to lose fingers, toes, or parts of their ears or nose. With freezing temperatures and wind chills, it is important to take the proper steps to protect yourself. 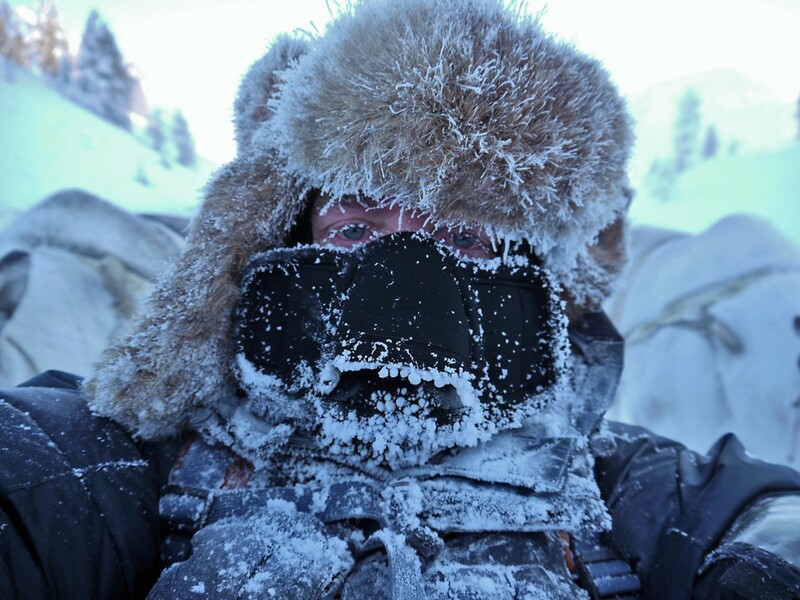 You need to dress in multiple layers to keep heat near your body. The outer layer should be wind and water resistant. Keep moving so that your body stays warm. Avoid alcohol which can make you feel warmer than you are. If the wind is intense, wear goggles when outdoors to protect your eyes. If your body begins to lose heat faster than it can produce it, hypothermia can set in. When a person's temperature drops to 95ºF or below, their heart and respiratory system can fail. If you notice someone in the cold shivering, slurring speech, and seeming confused, bring them inside. Warming should be done gradually so as not to cause the person to go into shock. 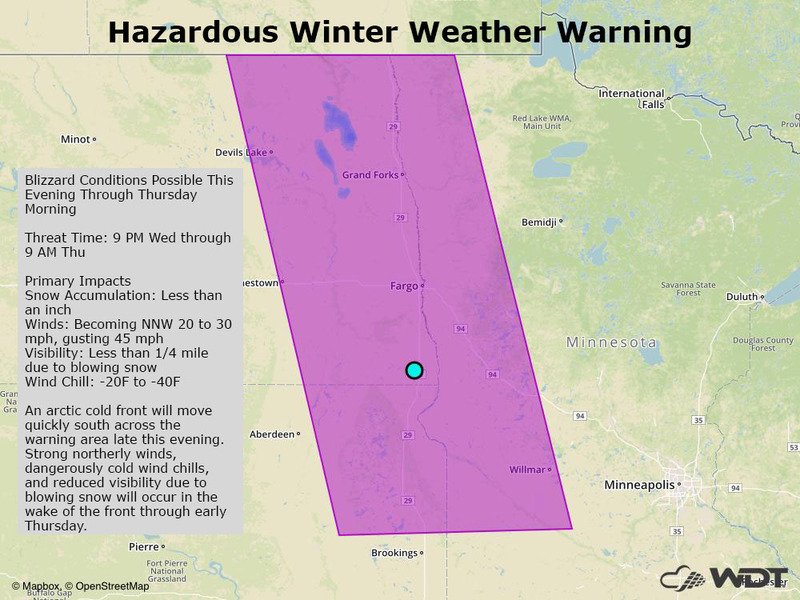 There is currently a WeatherOps Hazardous Winter Weather Warning in effect for parts of the Dakotas and Minnesota. Strong winds may lead to blizzard conditions and wind chills of -40ºF as an arctic cold front moves across the area. Those in New England recently experienced similar circumstances. The forecast for the coming week looks to bring another wave of very cold air into this area of the country.